As the biggest archipelago country in the world, Indonesia proud to introduce its destinations to the world by giving the application that show it all. 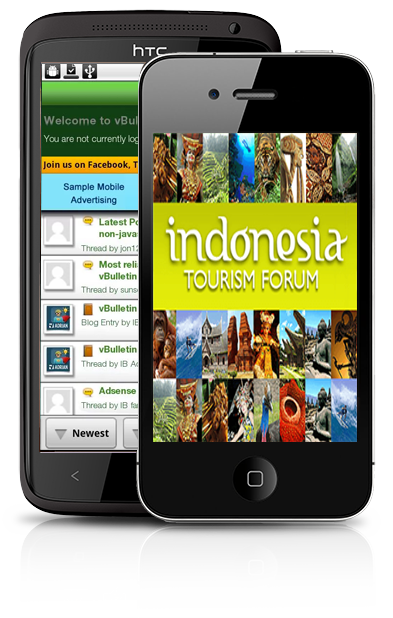 Indonesia Tourism Forum is an application for Indonesia destinations forum, which can load anything related to tourism destinations in every corner of Indonesia. This is an online application that always been updated daily, and there will be new comer members who want to share the beauty of Indonesia, or those who want to make trip to Indonesia. Every articles and writings are completed by the pictures related to the objects. Here, you can find any recommendation for some favorite places that suit for your holidays, trekking or even honeymoon. There will be tips and knowledge about many things related to the destination, like the area, the local people, the tradition, the dos and don'ts for visitors safety trips.